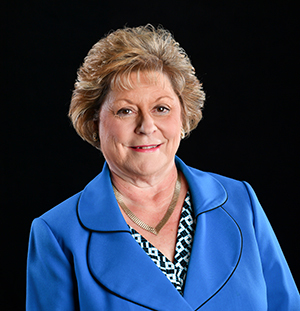 Diane Honeycutt was elected to the Board of Commissioners in 2014 and elected vice chair in 2015 and 2016. 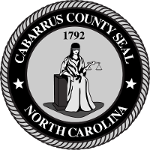 Having spent most of her life in Cabarrus County, she is committed to being a part of the future of the community. Honeycutt is a dedicated business owner. She began her career operating a chain of baton twirling studios across NC. She then joined her mother, Betty, to develop Team Honeycutt with Allen Tate Realtors. Over the years, Team Honeycutt is time and again recognized for their excellence in client service. As a business owner, she understands the challenges our residents face in finding and securing rewarding work that pays a living wage. Honeycutt supports creating an environment that is favorable for attracting new business, creating quality jobs and fostering economic prosperity. She has served the community through leadership roles with the Cabarrus Regional Chamber of Commerce (board of directors and past chair), Concord Rotary Club (Paul Harris Fellow and past president), Cabarrus Economic Development Corporation (board of directors), Rowan Cabarrus Community College Foundation (chair), United Way of Cabarrus County (board of directors and campaign chair), CMC-NorthEast Medical Center Foundation (board member and past chair) and Big Brothers Big Sisters (steering committee member). In 2016, she received the All American Award from the Southern Piedmont Chapter of the American Red Cross. Other community service and leadership positions include Coltrane Life Center (board member and chair), American Red Cross (board member and chair), Speedway Children's Charities (board member), Cabarrus Convention and Visitors Bureau (board member), Cabarrus Victims Assistance Network (fundraising chair), Habitat Women's Build (volunteer chair), Brain Injury Association (auction chair), Juvenile Diabetes Walk (county leader), Coltrane Webb School (lunch buddy), Concord's All America City Award 2004 (chair) and Salvation Army Women's Auxiliary (charter member). Honeycutt earned a bachelor's degree in Business Administration from Pfeiffer University. She is a member of Central United Methodist.